Last year’s Camberley Car Show, organised by Collectively Camberley, was a smashing hit, and demonstrated how many treasured cars there are in and around Surrey Heath. At a recent Probus lunch I was talking to one of the members about cars who owned a marvelous 40 year old Triumph Stag. I could not resist the temptation of taking a closer look at the car. Running my fingers over the excellent paint finish on the body proved to me that this was a car that was regularly polished. A Triumph Stag with wire wheels was unusual but, Reg, the owner, told me that they were a factory fitted option. 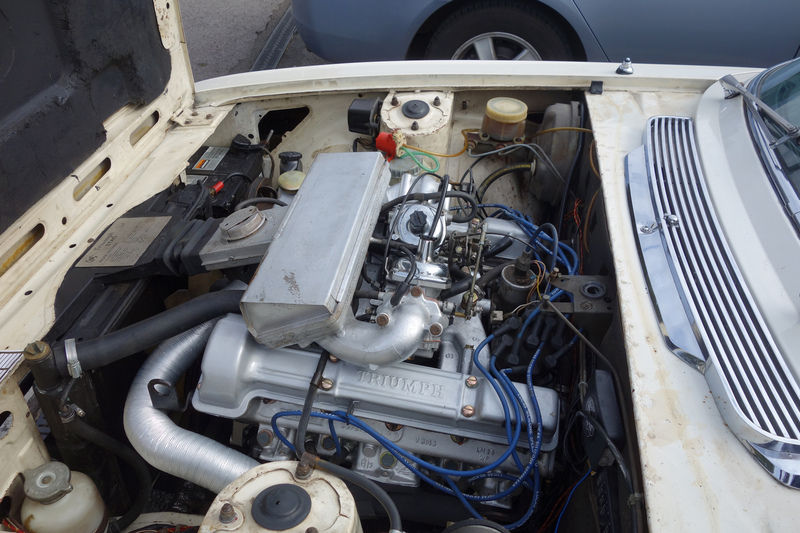 Here are a couple of images for the car enthusiasts among you to linger over, one showing the big 3.0 litre V8 engine and its two Zenith-Stromberg carburettors.